The flightless cormorant is one of a diverse array of animals that live on the Galapagos Islands, which piqued Charles Darwin's scientific curiosity in the 1830s. He hypothesized that altered evolutionary pressures may have contributed to the loss of the ability to fly in birds like the Galapagos cormorant. In a new study unraveling the cormorant's DNA, UCLA scientists discovered genetic changes that transpired during the past 2 million years and contributed to the bird's inability to fly. Interestingly, when these same genes go awry in humans, they cause bone-development disorders called skeletal ciliopathies. "A number of these iconic, salient evolutionary changes occurred in the Galapagos," said senior author Leonid Kruglyak, chair of human genetics at the David Geffen School of Medicine at UCLA. "Darwin, just by looking at these changes, inferred the process of evolution by natural selection. We now have sophisticated genetic tools to reexamine these classic examples and uncover what happened at the molecular level." Researchers, including Darwin, have proposed two evolutionary paths for the loss of flight. In some cases, changes that lead to flightlessness may help birds survive because they enhance their ability to do something else, like swimming—so-called positive selection. Alternatively, the birds may have lost their ability to fly simply because they didn't need to migrate or escape from predators. When flying isn't essential for survival, the mutations that hinder flight can gradually accumulate in the gene pool. "These two scenarios aren't mutually exclusive," said Kruglyak, who is also a Howard Hughes Medical Institute investigator. "You can start down the path because of passive loss of flight but then also have positive selection to keep reducing wings." A trip to the Galapagos Islands launched Kruglyak's interest in the cormorants. Together with first author Alejandro Burga, a postdoctoral fellow in Kruglyak's lab, they contacted Patricia Parker, a professor of zoological studies at the University of Missouri-St. Louis. 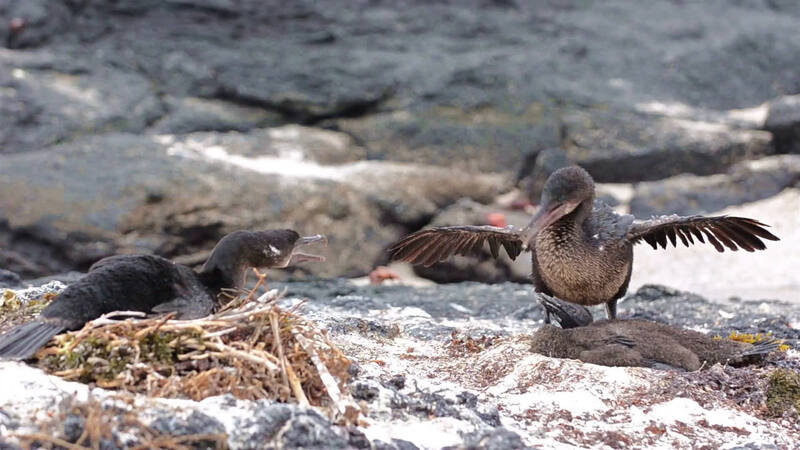 She had obtained Galapagos cormorant DNA samples for a previous study and agreed to collaborate on this project. "We saw a mutation in this gene that we've never seen in other animals," Burga said. The team confirmed that the changes to the CUX1 gene altered the protein's function, likely affecting wing size. The team also found that the flightless cormorants have an abnormally high number of genetic mutations affecting cilia—small, hair-like structures that protrude from cells and regulate everything from normal development to reproduction. Cilia play a critical role in bone growth. 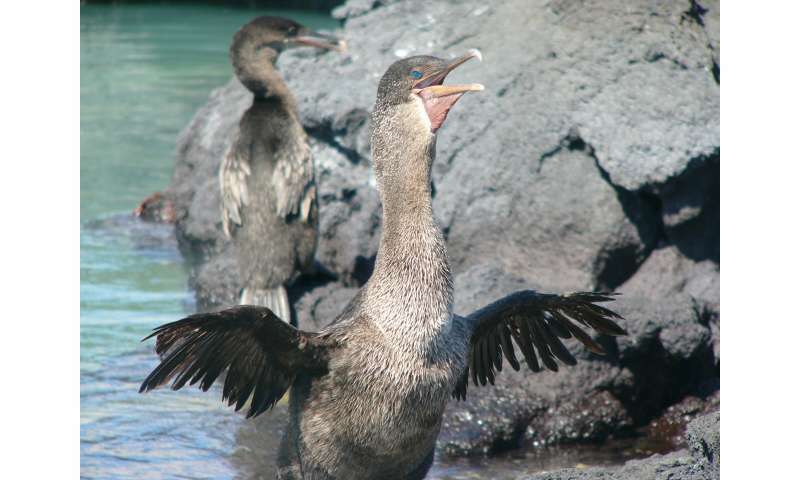 People born with skeletal ciliopathies have shorter limbs, narrowed chests and stunted rib cages—as do the Galapagos cormorants. The UCLA results suggest that CUX1 controls many aspects of cilia, some of which influence bone growth. "Loss of flight is something that has taken place in birds frequently," Kruglyak said. "There's a pretty rich field trying to understand how all these changes happen and whether common trajectories exist between species."